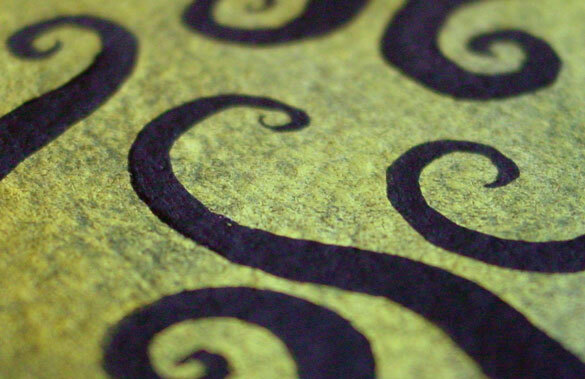 Every time I do a new piece to this series, I get confused about whether it’s Tentacle Spiral or Tentacle Spirals. For the record, there’s no s on the end, just to be extra confusing. 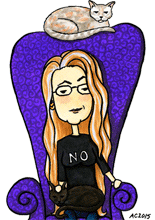 This one’s clearly influenced by my watching ofA Nightmare Before Christmas this week (twice). The tentacles spiral in from all sides to obscure the golden harvest moon. I went and carried the black paint out over the black paper so there was better continuity between it and the tentacles, which makes it extra velvety-dark in the background portions. 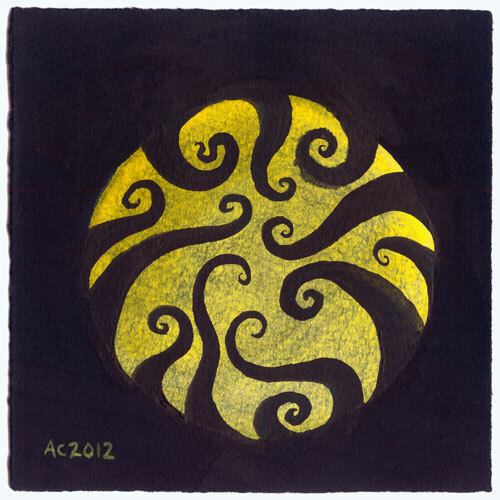 Tentacle Spiral 4, 5″x5″ watercolor on paper, nfs (sold). 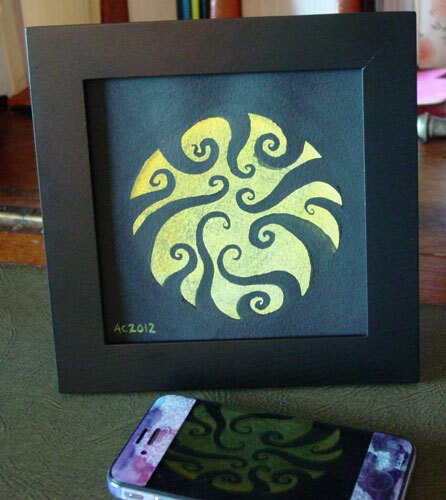 Above, you can see the delicate curls of black coming to obscure the yellow moon. Below, the piece is lurking in a frame to show you the size, just perfect for a desk or that little bit of wall in that one hallway that’s too small for anything else. You know the one I mean. Perhaps the full moon is when all the monsters come out, not just were-things? Thanks!